Who Should Watch Mr. Robot? Mr. 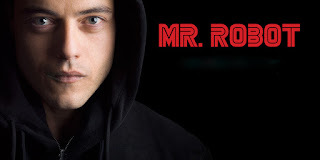 Robot, a show on the USA network is one of the most accurate representations of technology I have seen on TV. Hollywood has always dumbed down computers, coding or even technology in general, but Mr. Robot is changing the game. Lets be real almost everyone in modern society is on a computer, smartphone or at the very least using credit cards. Much of the workforce use computers daily...Mr. Robot should scare the crap out of all of us. The show's technological accuracy is extraordinary. The tools and techniques are hyper-accurate, and their use of social engineering really exposes what's going on in todays world. Sure the show feeds into some Hacker stereotypes with the socially inept black hoodie wearing main character, but it probably helps sell it to the masses. Beyond the technology the acting, writing, and production stands on its own as one of the best psycho thrillers I have seen on TV. You are the imaginary friend made up by Elliot the lead character. This immerses you into his world, and with House of Cards level inner monologue, you become an active part of his life. His paranoia becomes your paranoia as you are looking for clues or hints of whats going to happen next. What should happen next? Everyone should watch this show. Mr. Robot shines a light onto real life events set in a fictional world. Evil Corp, fsociety these are fictional representation of companies and groups that are in our headlines every week. The genius of this show is its position to not only create this fictional world but draw on real life events as they happen, and I can't wait to see what happens next.